I would really love too, but I would like to think SNOW first!! Fern has the bathing cap on...and there's Driftwood on the right! The baby is Gary, Donna's brother. Lovely smile on Driftwood's face. 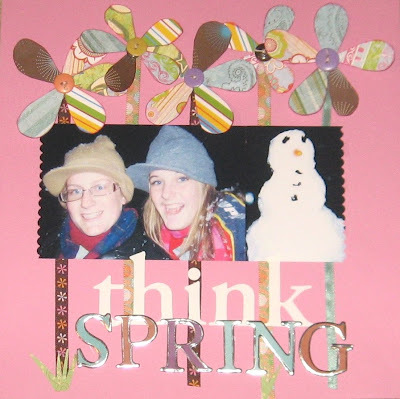 Send me some snow THEN I will "think Spring"! Good goin' Ruth I couldn't identify them, other than Driftwood.